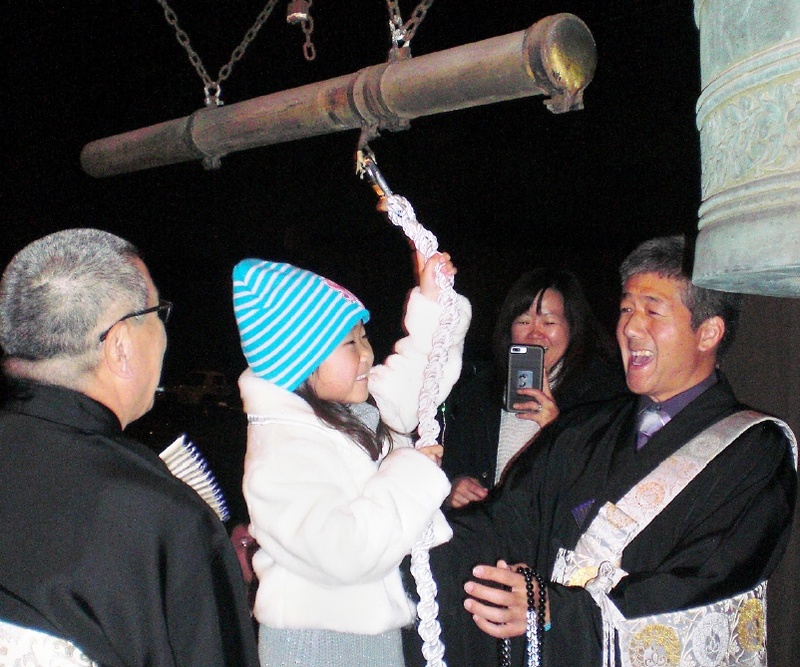 Following its New Year’s Eve service, Gardena Buddhist Church held the annual ringing of the temple bell (Joya no Kane) to mark the end of the old and beginning of the new. With the assistance of Revs. Nobuo Miyaji and John Iwohara, members and friends lined up to strike the bell 108 times — the number of earthly desires that plague humankind, according to Buddhist belief. The evening concluded in the main hall with the serving of toshikoshi soba, which is traditionally eaten on Dec. 31 in Japan as a symbol of long life. 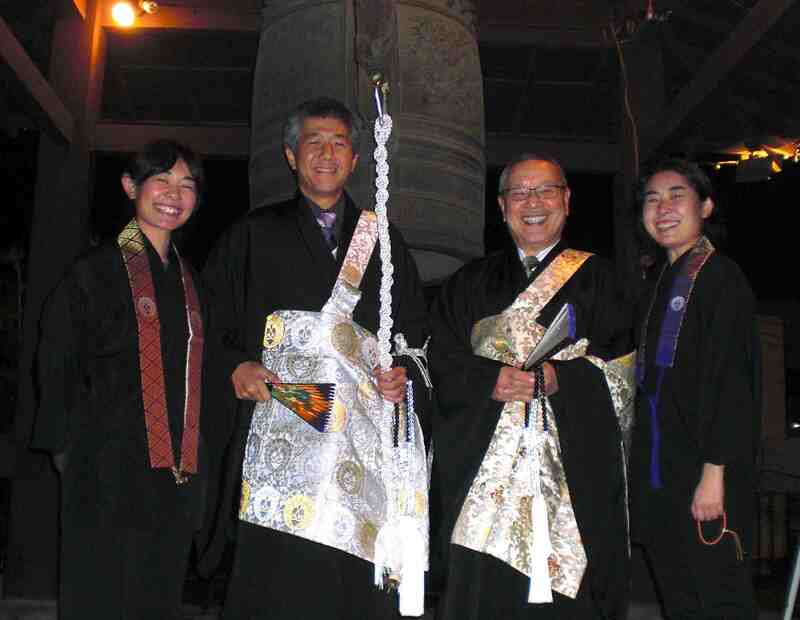 From left: Minister’s Assistant Cyndi Yasaki, Rev. John Iwohara, Rev. Nobuo Miyaji, and Minister’s Assistant Allie Yasaki.